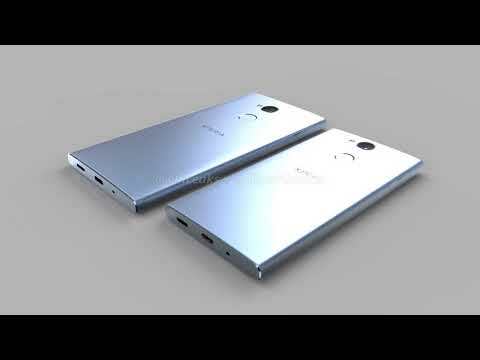 Sony in the near future can present several smartphones at the beginning and the middle level. Today we already talked about the Xperia L2 . Soon the Web became available CAD-renderers models Xperia XA2 (H4133) and Xperia XA2 Ultra (H4233) all from the same @OnLeaks. I must say, the design of devices corresponds to the viewsabout the new representatives of the Xperia XA series: a fingerprint scanner under the camera lens located in the center, a dual front camera with the Ultra version, rounded side faces, location of other important elements. As for the technical characteristics, the Xperia XA2 should get a 5.2 "display, Snapdragon 630 chipset, 3 GB RAM, 32 GB ROM, 21-megapixel and 8-megapixel camera, NFC, USB-C interface and Android Oreo, while the older one version will offer a 6 "screen, 4/64 GB of memory, the above mentioned dual front. Dimensions - 141.6 x 70.4 x 9.6 mm and 162.5 x 80 x 9.5 mm respectively. It is expected that the novelties will be on sale in February, that is, the announcement next week within CES 2018 is quite real.